If age, stains, or medications have dulled your smile, professional teeth whitening can turn back the clock. Safe and effective, teeth whitening is one of the most popular cosmetic procedures available. A whiter smile will take years off your appearance and improve your self-esteem. 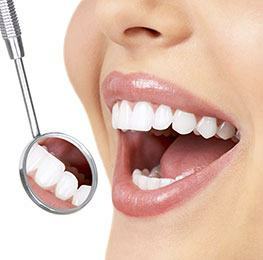 Dr. Jason Hong and Dr. Kathy Lam offer professional teeth whitening to give you dramatic results that you simply can’t get with in-store whitening products. 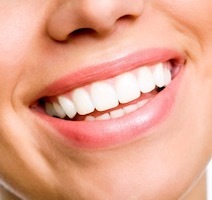 Keep reading to learn more about teeth whitening in Westmont and how you can benefit from it. How Do My Teeth Become Stained? Unfortunately, your teeth will become stained or discolored over time, even if you have an amazing oral healthcare routine at home. Natural age and wear and tear will eventually cause your smile to lose its brightness as well as routine coffee and wine drinking. Additionally, regular use of tobacco and alcohol consumption can cause your teeth to become stained. Whether it’s natural causes or poor lifestyle habits, our professional teeth whitening can remove hard-to-reach stains and discoloration. For in-office teeth whitening, we have chosen the Boost whitening system. In about an hour, we can dramatically brighten your smile up to 15 shades. One of our dentists will first protect your lips and gums, then apply a safe, professional-strength bleaching gel to remove stains and discoloration from your tooth enamel. Boost cannot be purchased over the counter; it must be administered by a dentist. This quick and easy appointment is popular especially for patients who are preparing for a special event or interview and need a fast and strong treatment. Some patients prefer home whitening, in which case we recommend NiteWhite. Our office will custom-make teeth-whitening trays to hold the potent NiteWhite gel close to your tooth enamel. Simply wear the trays overnight, and stains will vanish. Many patients notice a difference immediately, but optimal results take about a week or more. The cost of your whitening treatment will depend on the condition that your teeth are in currently and the results that you’re looking for. It will also vary based on whether you elect for the in-office or at-home option. The best way to know the cost of your treatment is to come into our office for a visit. One of our highly-trained dentists will examine your mouth and provide you with a precise estimate.